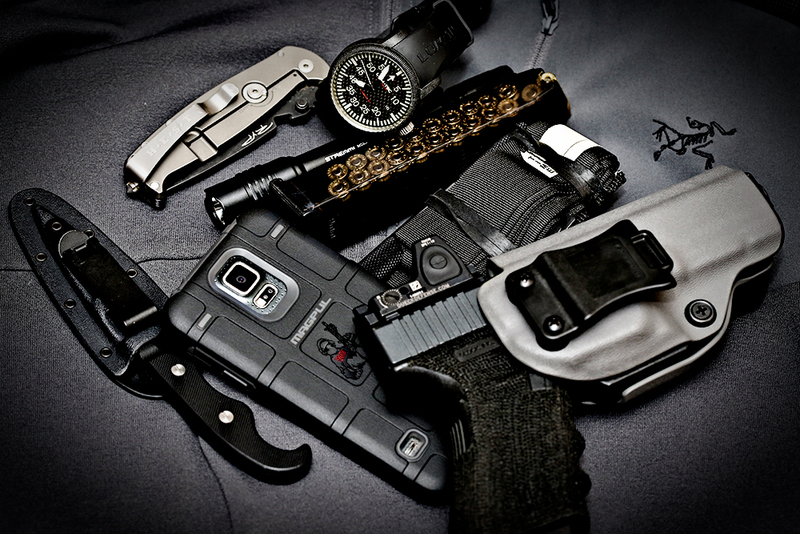 My EDC is always changing, as I am always testing and evaluating various types of blades, holsters, sheaths, pouches, pistols and magazines. I do this because developing a well rounded understanding of various items makes you a more capable person. It also allows me to provide the reviews which I do. There is always variations of one question I get asked about carry reloads. Since I carry a second magazine on my person at all times, as well as several others in a go bag, I wanted to post about it as I have not done so before in detail. I always carry a magazine with the capacity which is a standard capacity magazine I carry in my carry gun. If I have a G19 in my waist, I will be carrying a G17 magazine as a reload. 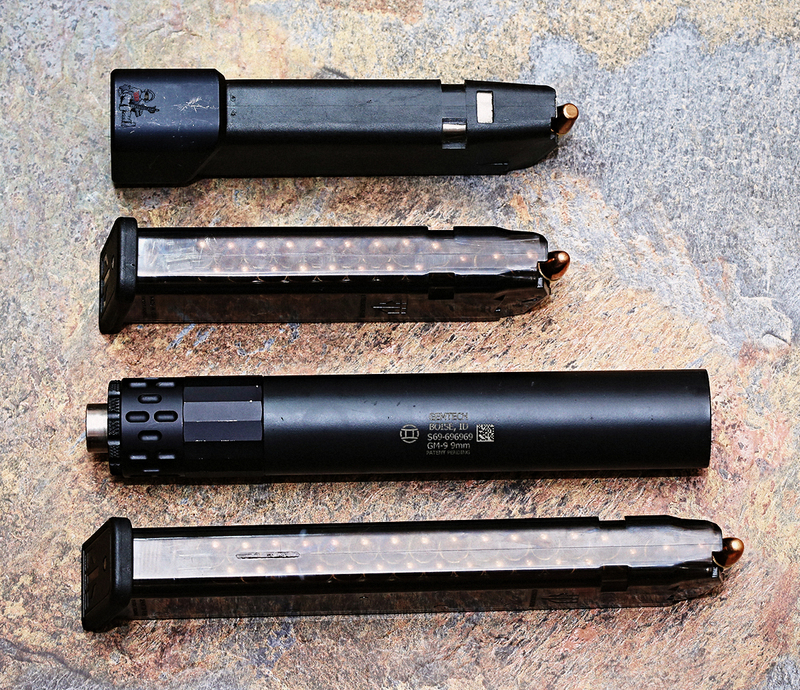 That was before ETS Group and Magpul came out with their 22 and 21 round magazines, respectively. Some call them "extended" or "high capacity" magazines, I just call them standard capacity magazines as I am not going to use nomenclature which the weak have created to support their agenda. Before ETS Group came out with their 22 round clear magazines I carried a G17 magazine with a TTI magazine extension . I know that there have been issues with TTI and similar extensions so I obviously vet the magazines before carrying with them. Now a days I am carrying either an ETS Group 22 round magazine or a Magpul 21 round magazine, both function well in my experience. I also only load them with 147gr flatnose 9mm bullets as well as standard hollow points, just like my carry magazine which is candy-stacked. 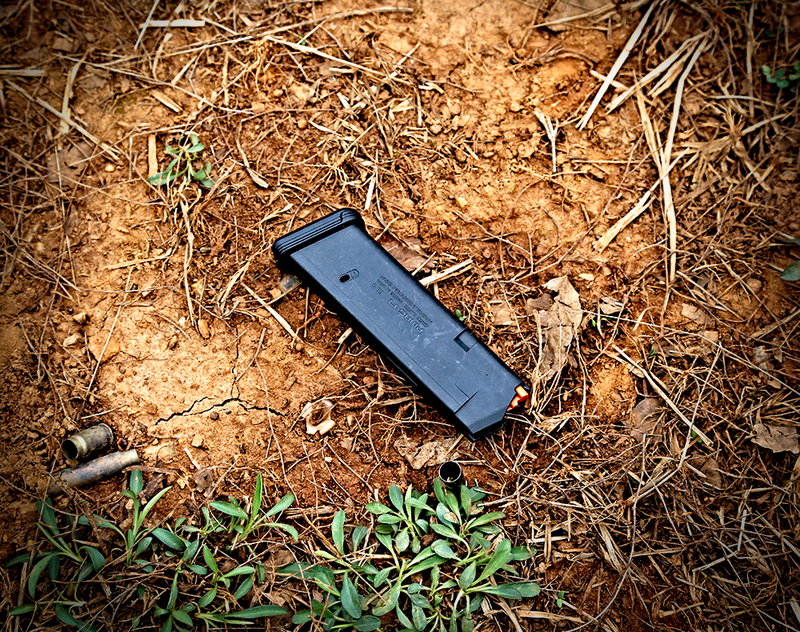 The reasoning behind loading a heavy grained, non hollow point bullet into a carry reload magazine is that we are constantly around vehicles and other barriers which may defeat, even a modern, hollow point. 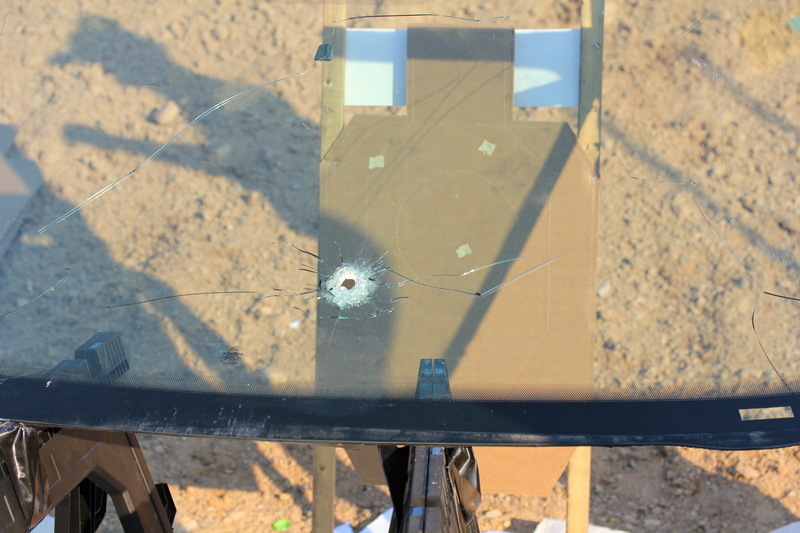 At an F2S Consulting "High Stress" Class we shot windshields, doors and other objects with pistol caliber (9mm and rifles caliber) ammunition. Since then I have repeated this type of experience in variations, including vehicle doors, front and rear windshields with various angles/distances as well as other forms of cover. This was important because I began develop the same working theory which did not support carrying a modern hollow point exclusively. 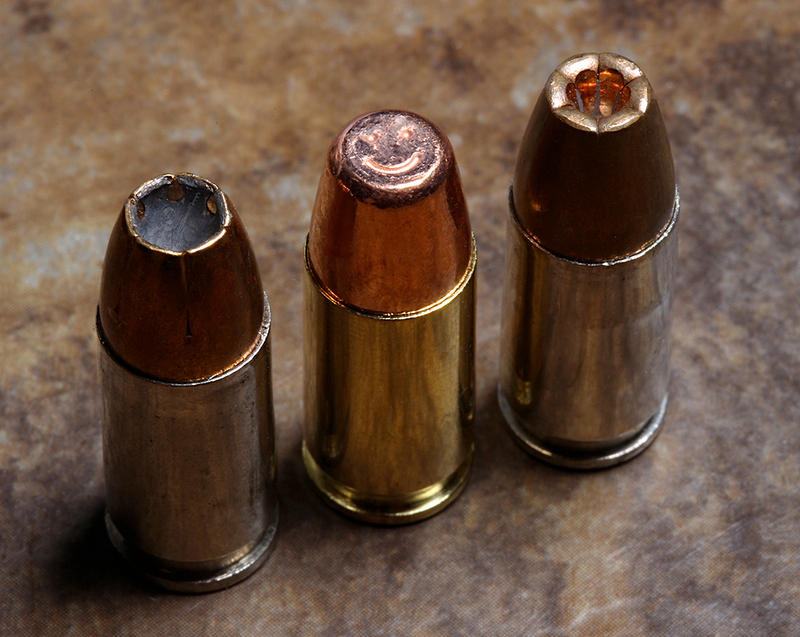 Most modern bonded hollow points will allow for adequate barrier penetration, but they are specifically designed to not over penetrate. This is a liability type of situation for most Police Departments as they do not want officers shooting through people into other people who should not be shot. One of the four safety rules is about back drop/stop and that is a finite rule which everyone should consider when discharging their firearms in a non-range environment. With that in mind, if you are shooting into or out of a vehicle/building/around cover would you want something which could penetrate that barrier to resolve the situation quickly? What happens when you only brought hollow points to the fight and they are not making it through a windshield in one piece, or worse yet, not affecting the target enough? Of course we do not know what type of circumstances we are to encounter, so I usually default to candy-stacking my magazines. 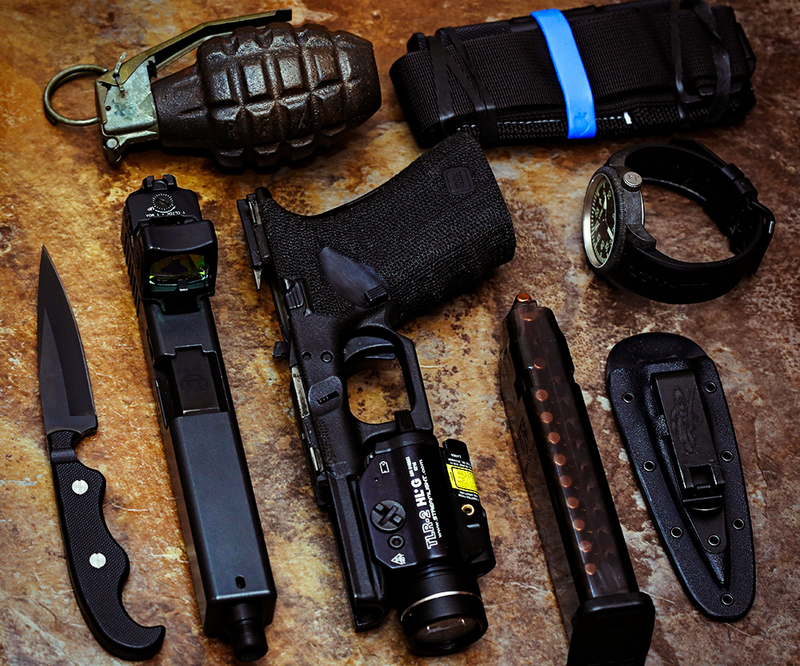 I also do not carry in a magazine pouch, although there are plenty of them out there which are viable, for every day carry there just is not a reason to do so. Especially for those in very hot climates who wear shorts/t-shirt like I do in the summer months. A magazine, in a pouch, on your hip is going to stand out like a sore thumb. There are a few IWB magazine pouches I have been evaluating for such a purpose but they all fall short of what I would like out of an IWB mag pouch. I will be doing a review of all of them eventually. The question that almost always comes up is, "if you are not carrying in a pouch on your belt, wouldn't your reload be a lot slower?" Of course it will be, but we have to put some things into perspective. First and foremost, shoot and move, shoot while moving, move while shooting, whatever variation works for you, do that but do not stand there and shoot. In the gun industry we like to run drills on a square range with zero movement. Or we incorporate crab walking as if that is the best form of movement for shooting (it is not). We should focus more on accuracy, while moving and then movement to cover. When do you reload? When you have the time to do so. If you do not have the time you cannot reload and if you try, that is going to be a really bad day for you. One thing we get from the gaming world which is way on the unrealistic side is reloading while engaged in a "contact" in an open space. That is just not how it works and if you think it does you are setting yourself up for a serious failure. Most of my drills I practice from a back pocket reload. Because that is the way I carry. It is not to get some blazing fast time on a shot timer to get likes on Instagram, it is because that is what I will be doing in reality and that is the only thing that matters.